Teach student pharmacists and pharmacists to identify at-risk patient populations needing immunizations. Teach student pharmacists and pharmacists to administer immunizations in compliance with legal and regulatory standards. 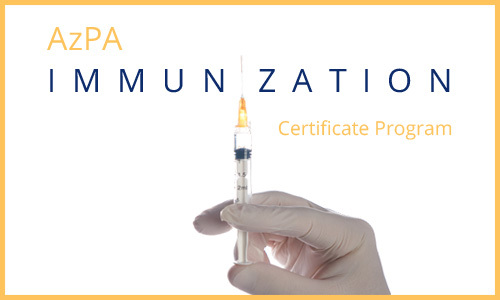 Arizona Pharmacy Association Immunization Training Program is conducted in two parts: the self-study and the live training. A Certificate of Achievement (in PDF format) will be awarded to participants who successfully complete all program components, including a final evaluation form. Electronic Certificates will be issued within 30 days of completion of this certificate training program. **Special rate is available for IHS pharmacists.